Pneumatic and Hydraulic Equipment | Our Products | Howa Machinery, Ltd.
Today's modern society has nearly unlimited demands when it comes to labor saving, rationalization and advanced quality. To respond to these demands, we were among the first in the industry to develop power chucks and cylinders for machine tools. Howa Machinery's power chucks and cylinders made from a collection of the best mechanical engineering technologies, always stand at the top of the industry, and have contributed significantly to the remarkable development of lathes. We were also among the first in the industry to develop an automatic jaw changer system that makes it possible to create flexible manufacturing systems (FMS) with numerical controls (NC) and lathes. These efforts have established Howa Machinery as the undisputed leader in power chucks. 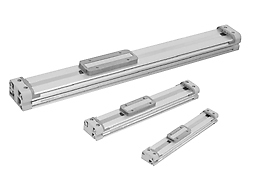 Furthermore, our revolutionary rodless cylinders, focused on more compact and higher-performance designs have had a wide-reaching impacts on industry. Today, even greater expectations are being placed on this ever-evolving field of machinery, because it has helped to make people's lives easier and more convenient. Accordingly, recognizing that the role we play will continue to grow, we stand committed to carrying on the pioneering spirit maintained since our foundation to pave the way for industry with our forward-looking proprietary technologies. Rotating cylinders are used mainly on NC lathes as the drive for the power chuck. 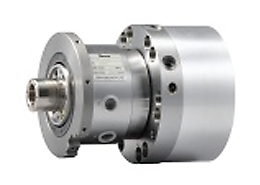 Together with power chucks, we also offer an extensive lineup of rotating cylinders. 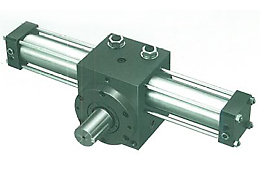 Rodless air cylinders take up half the space of conventional cylinders. 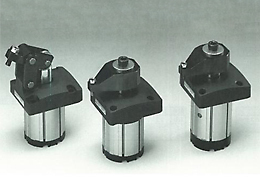 The pistons and sliders of these cylinders are coupled and are sealed with a metal band. 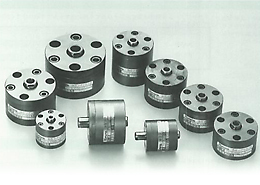 Rodless air cylinders take up half the space of conventional cylinders. The piston and slider of these cylinders are joined by a magnet. 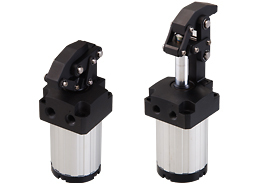 Hydraulic clamp cylinders are specially designed to hold a work piece during milling and drilling work. 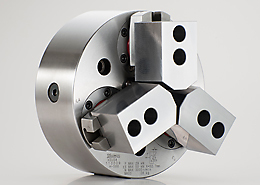 Pneumatic clamp cylinders are specially designed to hold a work piece during milling and drilling work. 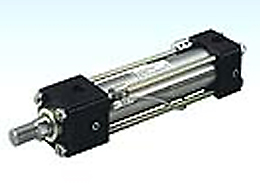 Hydraulic jig cylinders are thin and round for use in a wide range of applications. 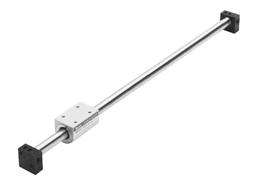 Rotary actuators use a rack and pinion type for rotary movements. They are available for pneumatic or hydraulic specifications. Hydraulic cylinders are very versatile and we offer a selection of mini cylinders or low pressure cylinders depending on the purpose of use. Equipment Team, Sales Group, Machinery Dept., Howa Machinery, Ltd.